Ginette Melton : Backing Voc. "I remember getting really loaded and going to see the Paul Butterfield Blues Band in Berkeley. For white guys, that was the hottest electric band in the land, without a doubt. Part of the reason they were so hot was that they were playing within an established genre, but they were playing an excellent version of what it was. The lineup was pretty terrific – (Michael) Bloomfield and Elvin Bishop on guitar, although Elvin clearly was just a rhythm guitar player back then. Sammy Lay was the drummer; Mark Naftalin on keys – he stayed in the Bay Area, and still records there. ""Bloomfield was a wonderful guy and a dear friend; probably the smartest guy I ever knew. He could play almost anything; what he liked to play was blues. 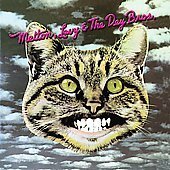 On the Melton, Levy and the Dey Brothers album, we did a duo where he played in a sort of Django Reinhardt guitar style, and it’s really unique. I never knew he could do that, and when I told him so, he said, “Yeah, but it’s not really my kind of music” (chuckles). He was one of those guys who could read three or four books a week, and was an incredible storehouse of knowledge. And he died so young."